Picture by Mahinda P.Liyanage, Galle Central Special Corr. 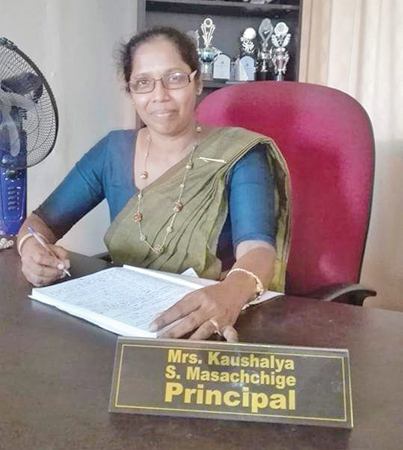 Kaushalya S. Masachchige recently became the the Galle Muslim Girls’ College’s (MGC) first Sinhala Principal, recently. After a 13-year period of service at the Galle Anula Devi Vidyalaya, Masachchi had joined the Galle Muslim Girls’ College as its Deputy Principal in 1917. In that capacity, she had worked diligently to uplift of the school until her recent appointment after the former Principal went into retirement.